The Rayman Legends demo finally hit the Wii U eShop today, and I think it's safe to say it exemplifies the phrase, "Better late than never." 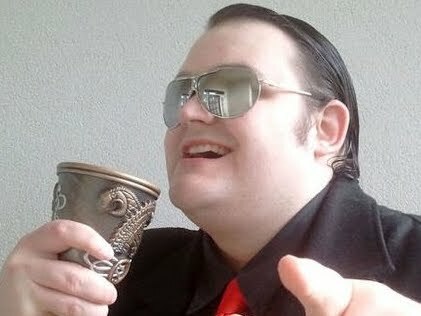 What I mean to say is, it's pretty damn awesome! Featuring three levels that work together to show off everything this Wii U platformer is capable of, there are a number of concerns the demo throws up, but the ultimate feeling is that this is due to be quite the incredible game. The first level is designed to show off the GamePad-exclusive gimmickry that will rear its head throughout the adventure, and this is where most of my worries lie. In touchscreen-led sections, the protagonist will automatically run, jump, collect items and attack, while you manipulate the environment using a finger or stylus. Such manipulations include cutting ropes to drop platformers, or tickling large enemies to render them vulnerable. There are gyroscopic sequences too, with the GamePad needing to be tilted in order to rotate wheels and create new paths. All of it's fairly simple stuff, but the switch between more traditional, Origins-style platforming and touchscreen chicanery feels a little jarring, and not quite as elegant what we've seen in Ubisoft's other big Wii U exclusive, ZombiU. Not to mention, it just feels a little bland, with simplistic level design and "puzzles" that feel more like arbitrary tasks. Hopefully these levels expand as the game goes on, but I fear it'll be basic, tech-demo style stuff based on what we've got here. Fortunately, this is but one third of the demo, and the other two severely ramp up the quality. 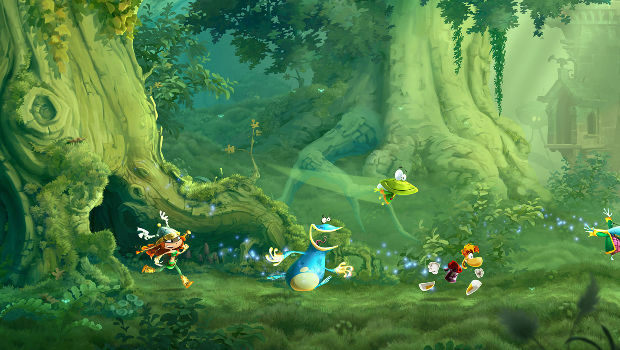 The second level is a more straightforward platforming stage, more in line with Rayman Origins. Featuring some tight level design based around using wind currents to fly, it's a simple but fluid little stage that is likely a prelude to far trickier challenges in the full game. While not spectacular, it's a solid slice of action, complete with the hidden areas, token collection, and enemy bashing we've come to expect. 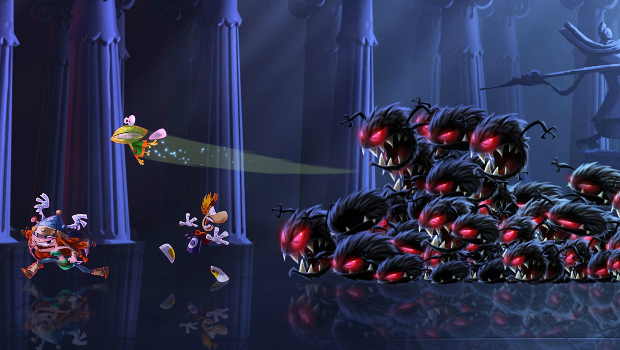 The third and final level, Castle Rock, is where we get a true glimpse of what Rayman Legends can be, and I have to say it is incredible. In Castle Rock, you have to run through the stage while being chased by a wall of fire, but it's just as much a rhythm game as it is a "runner" style platformer. Enemies provide the backing track, your actions provide the percussion, and everything gels together in a truly jawdropping example of gameplay, graphics, and audio working together in beautiful harmony. Castle Rock defies the player not to grin like a lunatic. It's just so cleverly designed and stylishly presented that it warms my heart, and reminds me that, even within one of the biggest game publishers in the world, there are still developers with a ton of imagination. Even as I type this, the music's stuck in my head and my hands are itching for another go. It helps, of course, that the music throughout is awesome, and the graphics are even better than Origins'. Those worried about the Wii U's potential for jagginess should try the demo post-haste. The visual quality is rather excellent. Seriously amazing stuff, and I hope there's a lot more where that came from!